If you, your community, or your business has a Canadian based Halloween attraction, event, party, or provides a Halloween related service such as costume and prop rentals, decorating and event planning services, VancouverHalloween.com can provide you with MAXIMUM EXPOSURE on this web site through our Feature Listing Program. FEATURE LISTINGS Offers higher visibility with greater marketing impact. Includes a Banner Ad and Text . You can either provide the 256 pixel x 86 pixel banner or we can design one for you and that is included in the cost! IMPORTANT: Web Based Only Online Shopping listings will not be accepted nor will we provide any listing to Instagram accounts or any other site that doesnt list your information such as a name, address, and contact information. Feature Listings are predominately positioned above the free text listings. Feature Listings are Only $25.00 per Year! That is less then .15 cents per day! A prompt refund will be issued via paypal should I determine there are listing violations with your Feature Listing request. * CanadianHalloween.com reserves the right to refuse any listing request without notification. 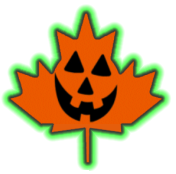 To qualify for a listing, you, your event, or business, must be a Canadian Based Halloween related attraction, business, product, or service. Affiliate merchant driven web sites or catalog web sites will not be listed. Feature Listings will be posted once I receive an email payment confirmation notification from paypal.